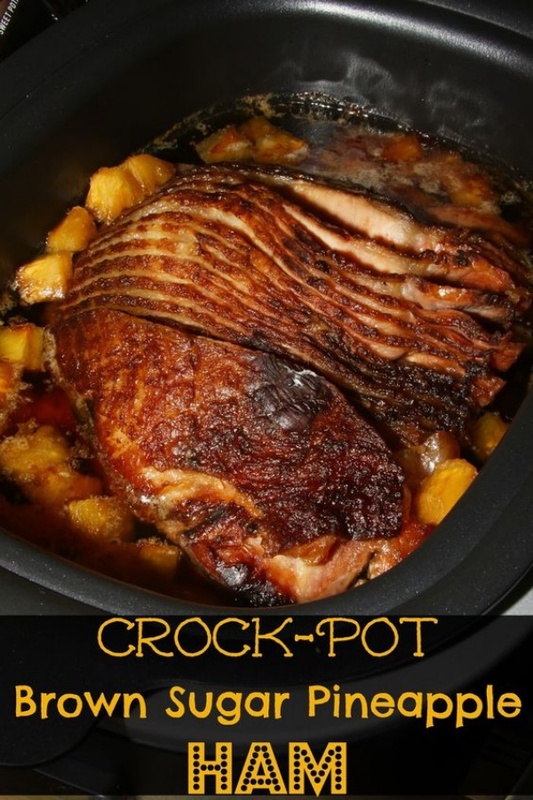 Crock-Pot Brown Sugar Pineapple Ham By Nicole Hood | For The Love of Food. You are going to love this brown sugar and pineapple crusted ham. It's so tender it just falls apart and the best thing- just throw it in the Crock-Pot for six hours and forget about it!